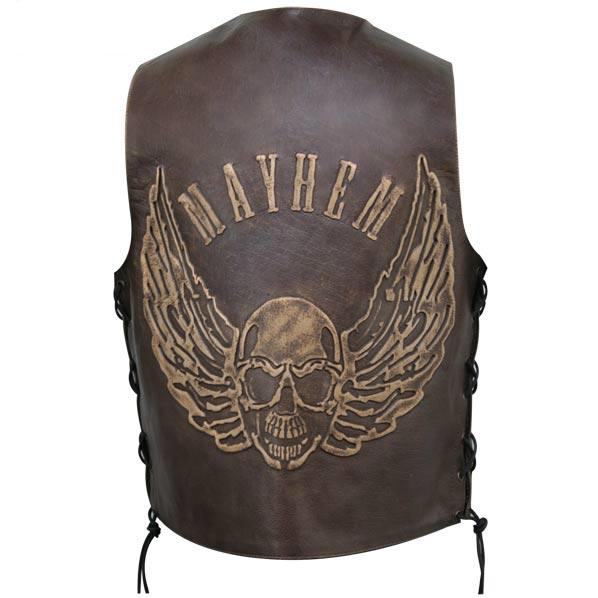 Features genuine 100% cowhide leather, lace up sides, embroidered patches, and is fully lined. 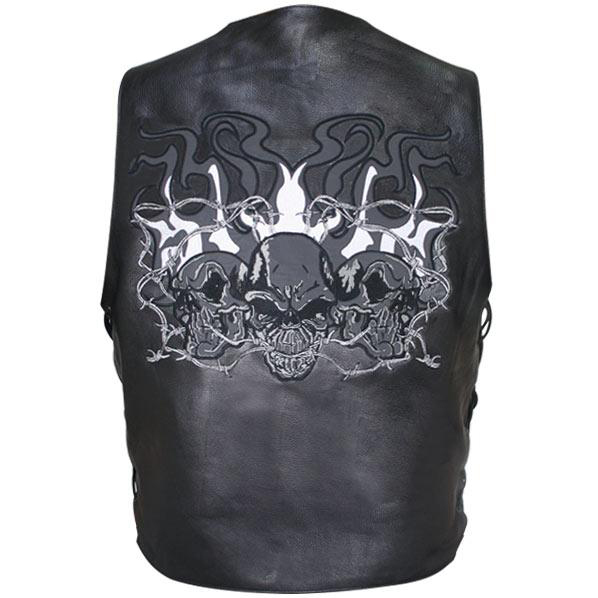 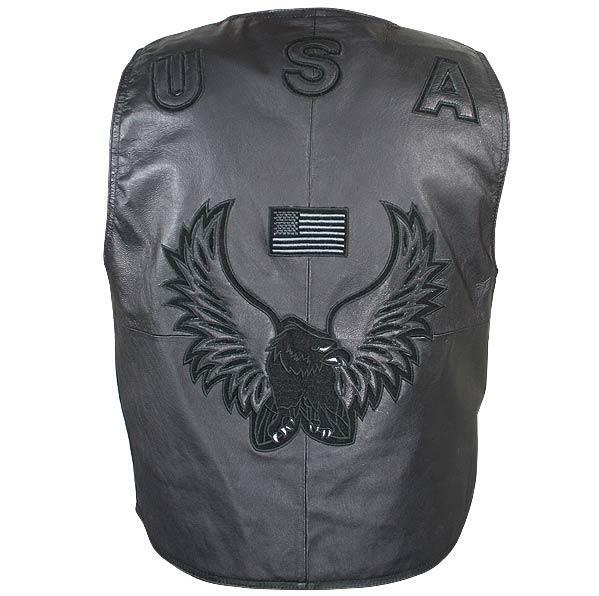 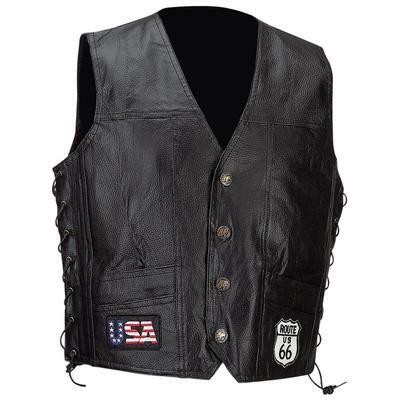 Patch..
Be bad and look cool with the Charlie LONDON Mens Reflective Evil Triple Flaming Skulls Back Embroid..
Men's American Eagle USA Black Leather Vest. 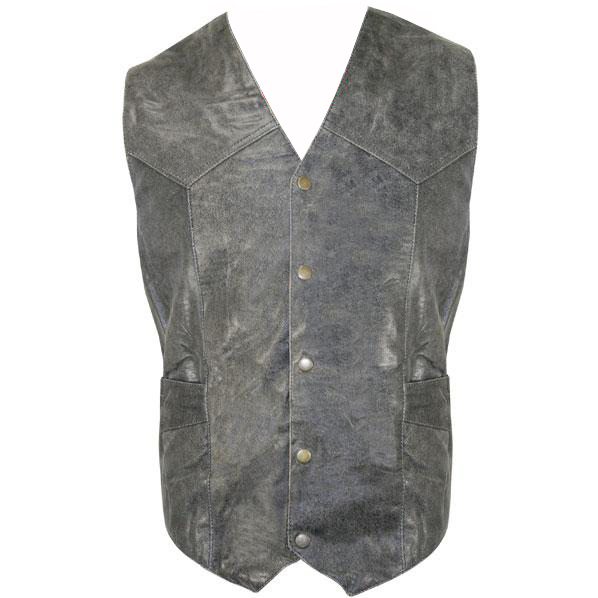 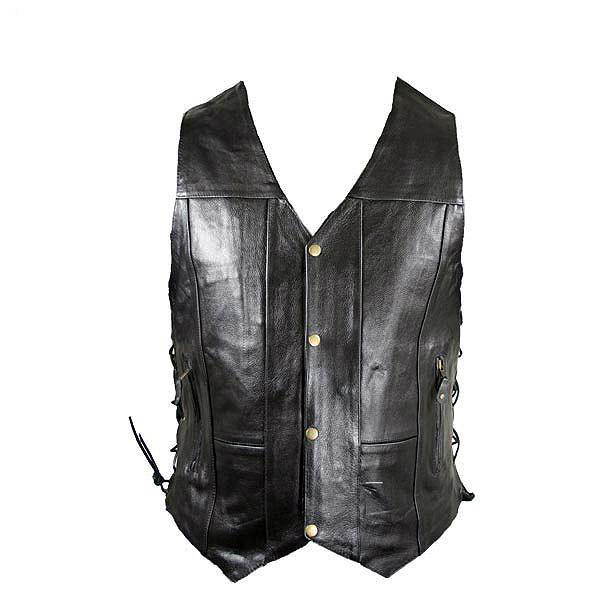 Made of top quality soft high grain leather, worn like .. 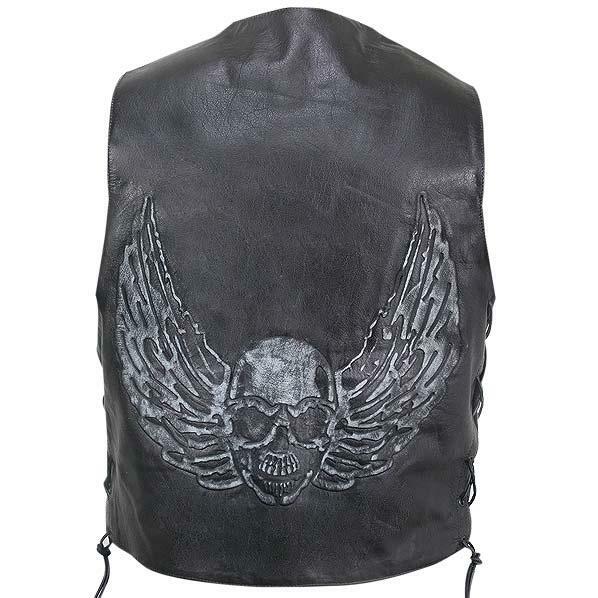 Exclusive design only found here, made of durable thick cowhide leather. 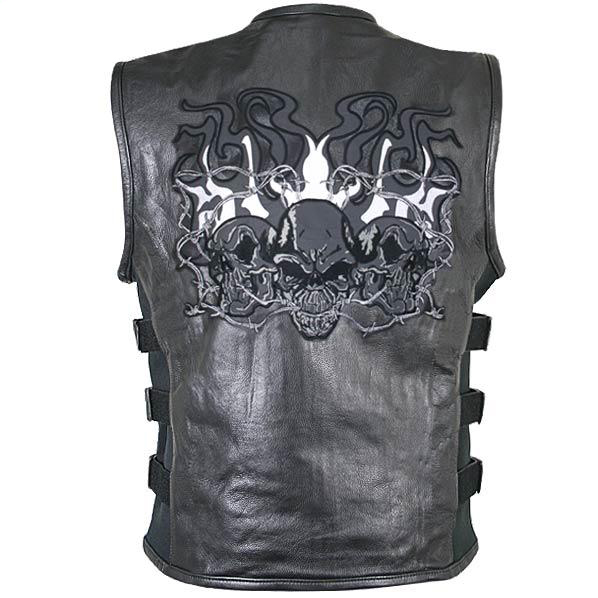 Features a one panel backsi..